So I forgot that B&C had xenos sections so now that I've come back I've decided to share my work with you folks. 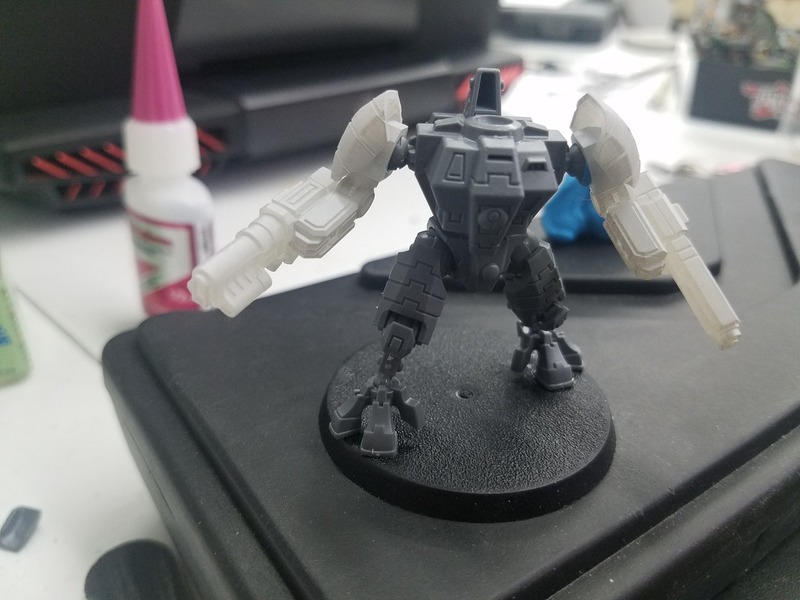 I figure I'll start with the already printed prototypes, then finished designs ready to hit the shapeways store, and lastly a neat piece of work. 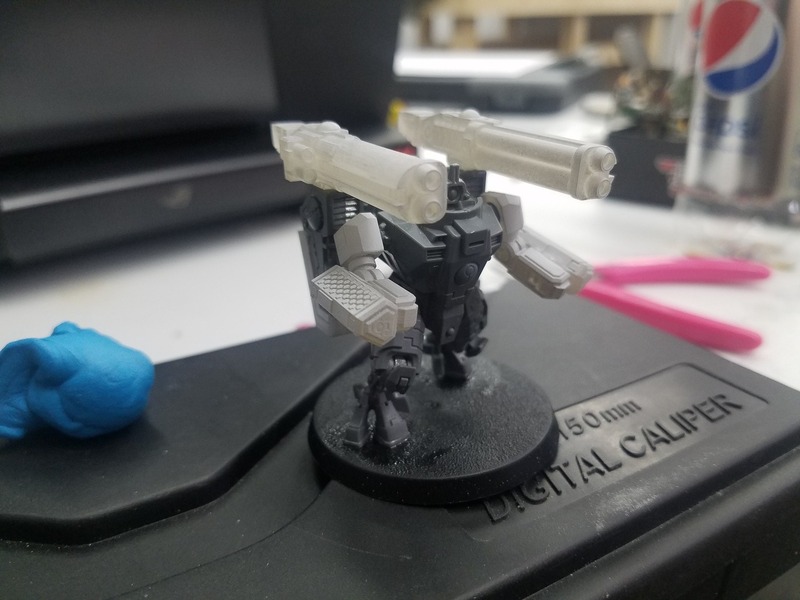 Fully compatible with existing XV8 models, just needs some more detail, some edge rounding, and a head. 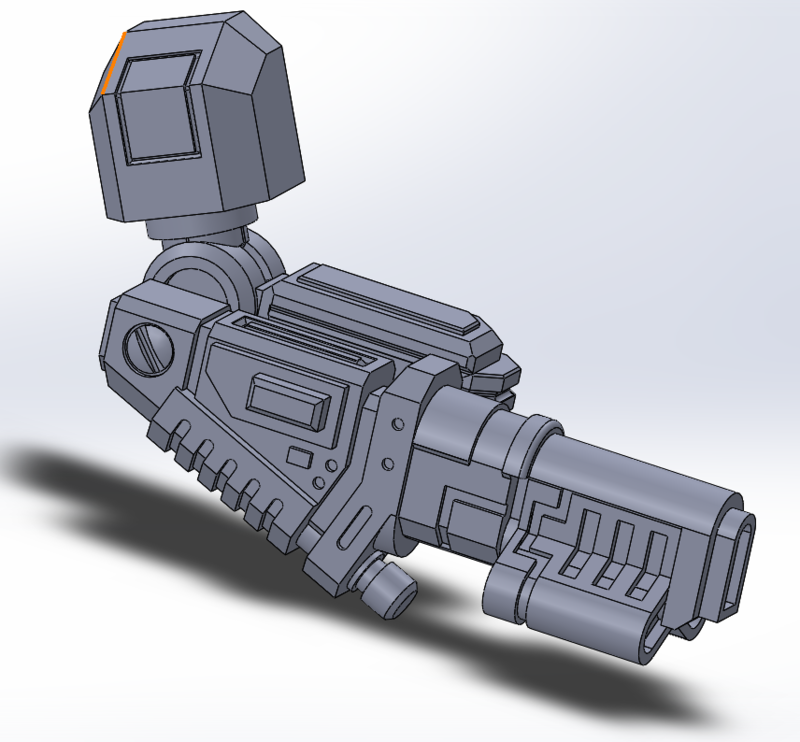 Rotary cannon, mag rifle, ion repeaters, poseable arms, conformal missiles, micro missiles, fusion cutter, engine manifolds, and shoulder armor should be on shapeways by the end of the week. I'll post up the store link when the bits are ready. 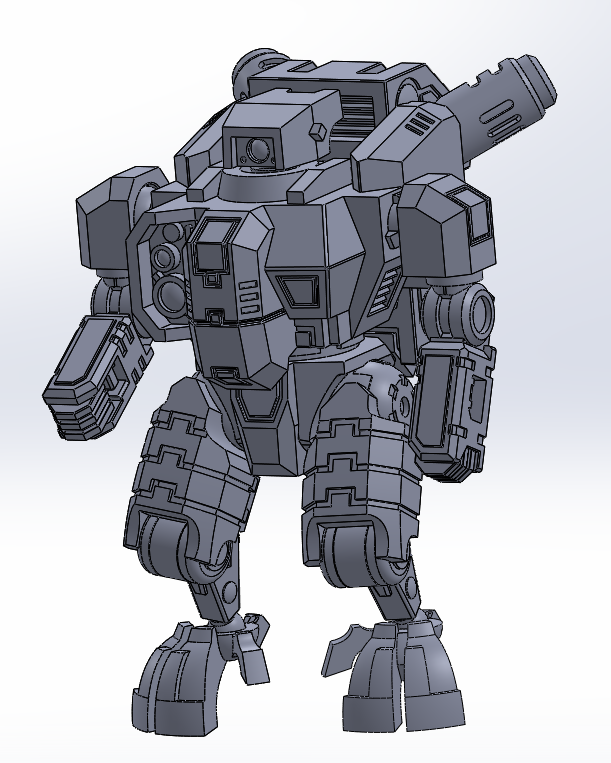 Come check out Project: Durandal, a new tank designed from the ground up for your forces. My personal forge now producing Custodes bits! If Crisis just could take Rail weaponry ... it would be a dream come true. 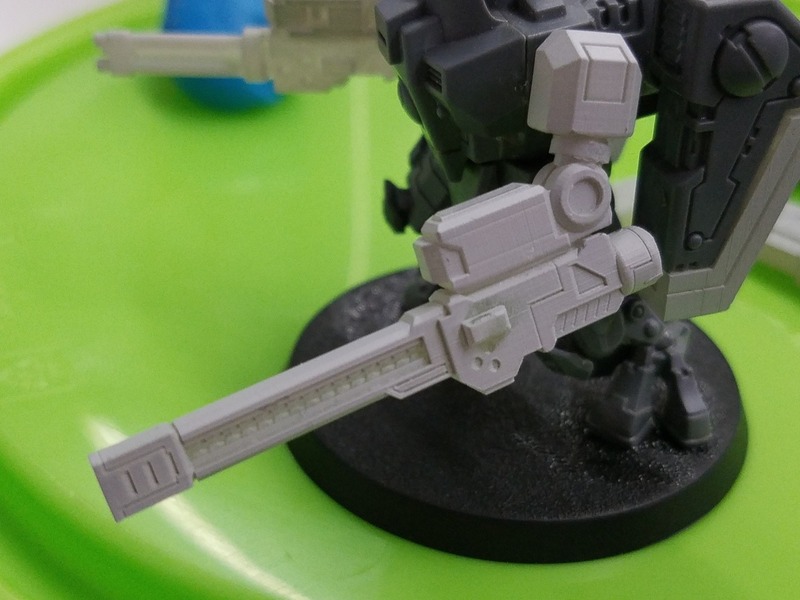 I like your Burst cannons tho would've prefered them with 4 barrels each like the GW ones I think. 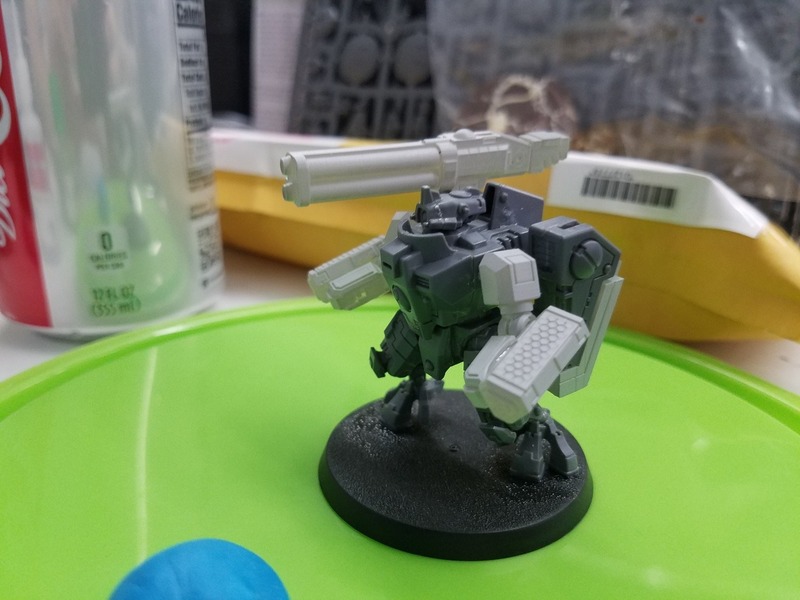 Just something about having 4 shots and 4 barrels to represent it even tho that's not how rotary cannons work. I'm looking forward to your Cyclic Ion Blasters. If the price is right I think I'll be ordering some. Arms will be one bundle with a pair, weapons will be sold single, double, and sets of 4. I can dig preferring 4 barrels, I just wanted to do something different. 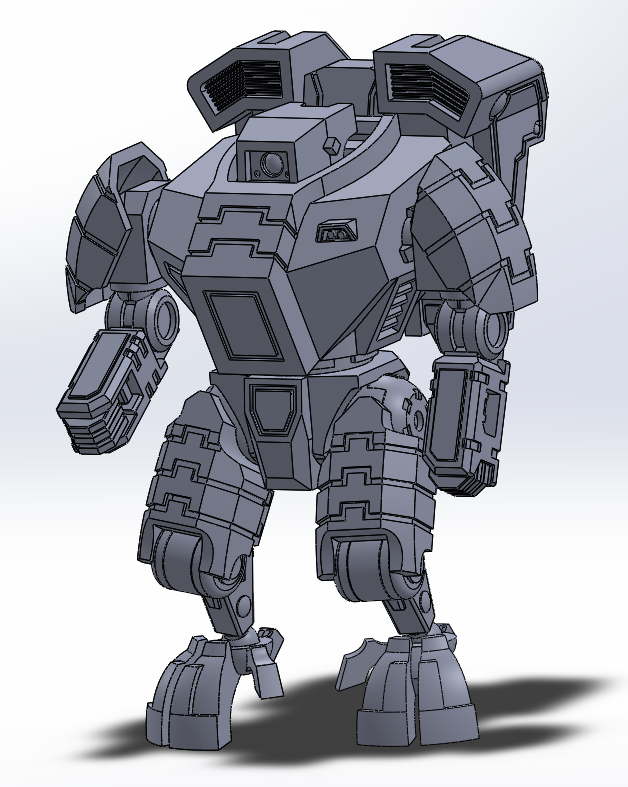 You wanna commission me I can design you up a specific configuration. Nah I really just care about a properly priced source for Cyclic Ion Blasters. 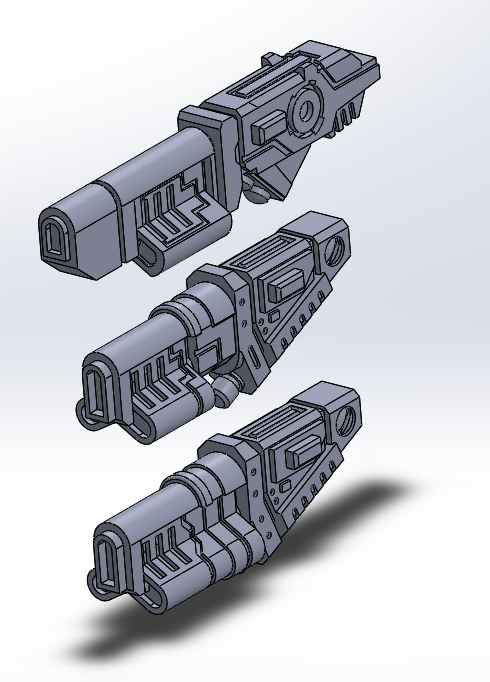 GWs Burst cannons aren't my favourite rotary cannon design but it's not bad enough for me to comission new ones. 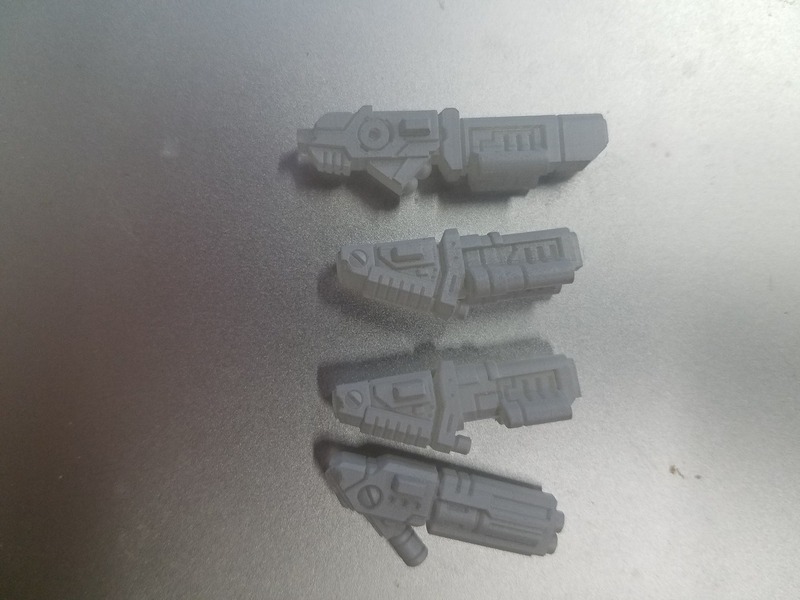 I got my Cyclic Ion Blasters from Shapeways and thought they were at a reasonable price and quality. 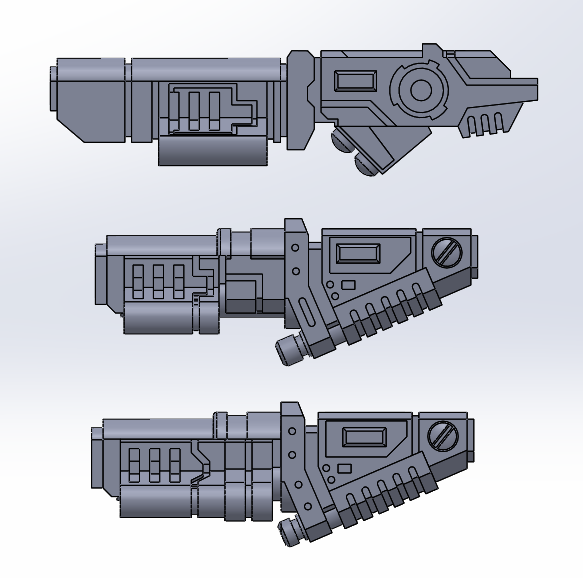 Ion Weapons, Fusion Weapons, Particle Accelerator Cannons, Arms, Missiles, and Manifold Covers are now available on Shapeways! 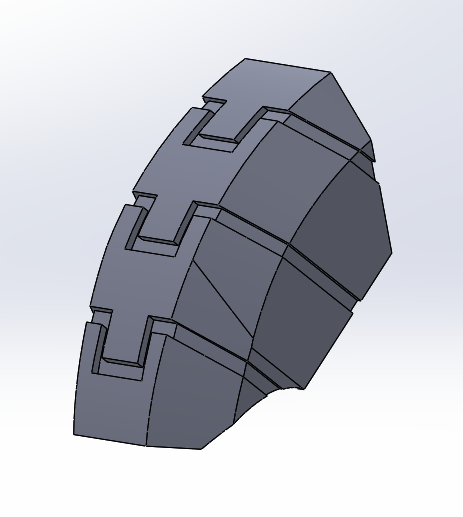 I'm working on changing over to private casting but it might take a bit, shapeways charges like 8 bucks for a bit I'd charge 4 for. Also finally was able to work with the new bits for pics of how well they go together. 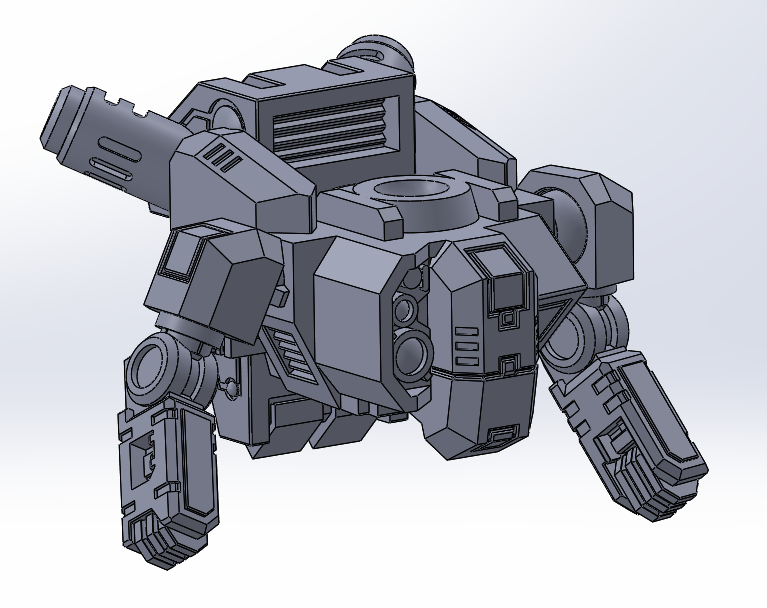 And finally the last progress shot of the Urban Combat chassis. 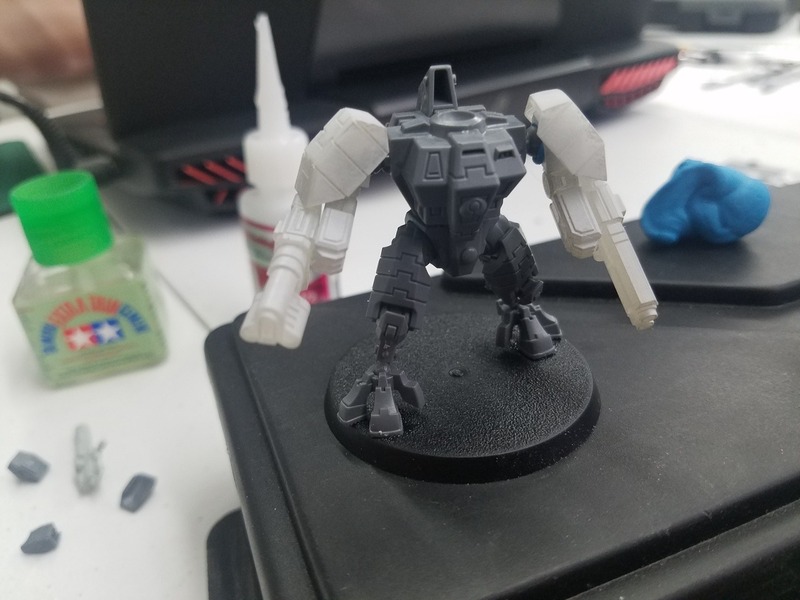 I've been told that the angular shoulder pads look better on the heavier suit with extra armor while the smaller rounded shoulder pads made for great ways to pick out a commander or team leader. 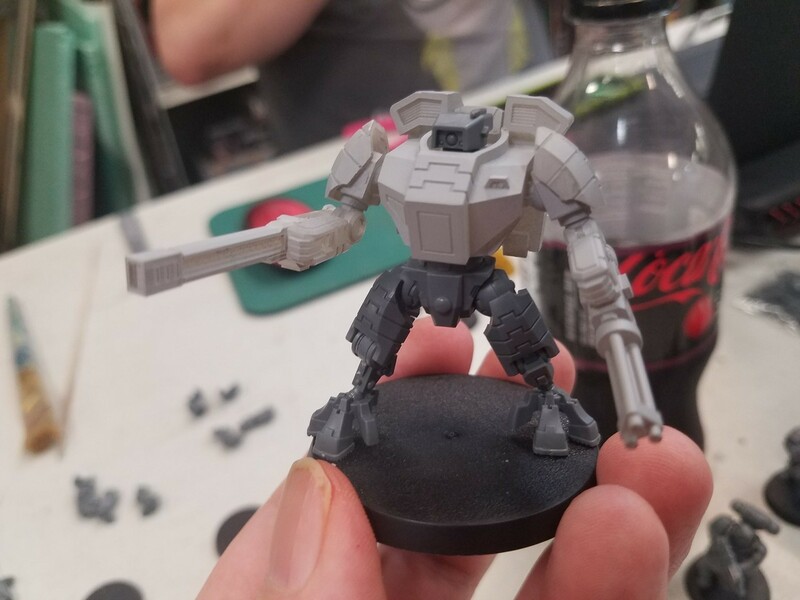 Just to get it right, so that's $8 for a single weapon bitz? If that's the case then that's a hard pass from me since there are similar offers on shapeways where I can get 4 weapon bitz for ~$12 already. 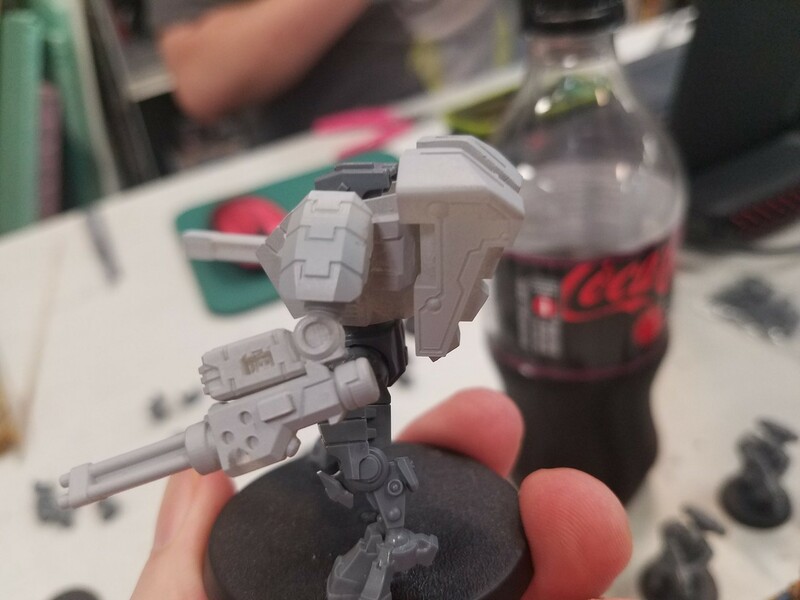 $4 per bit would be much more manageable, but considering the quantity of weapon bitz one needs for Crisis Suits it would still be a big difference (a 3 suit unit with max CIB would be 9 bitz which I would get for ~$22 from that one shop and would still cost $36 if you'd sell yours for $4 a piece. 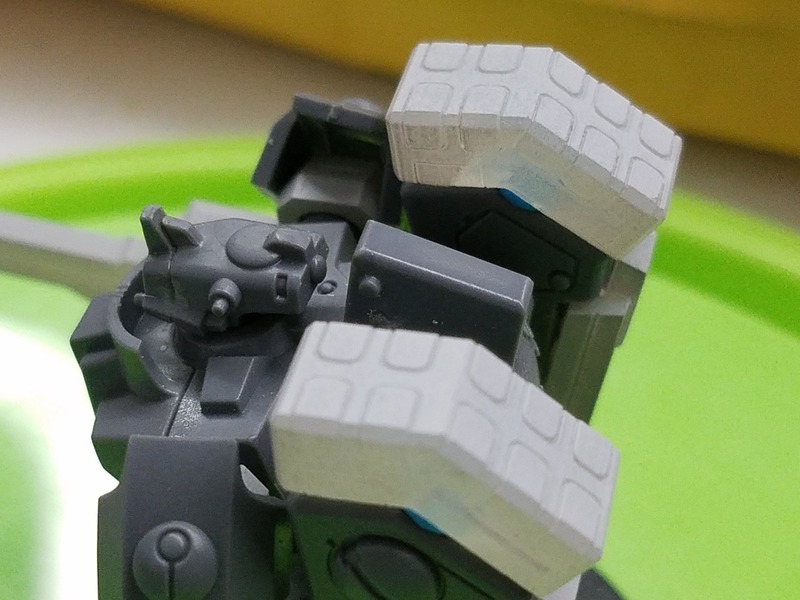 Edited by sfPanzer, 30 November 2018 - 05:08 AM. 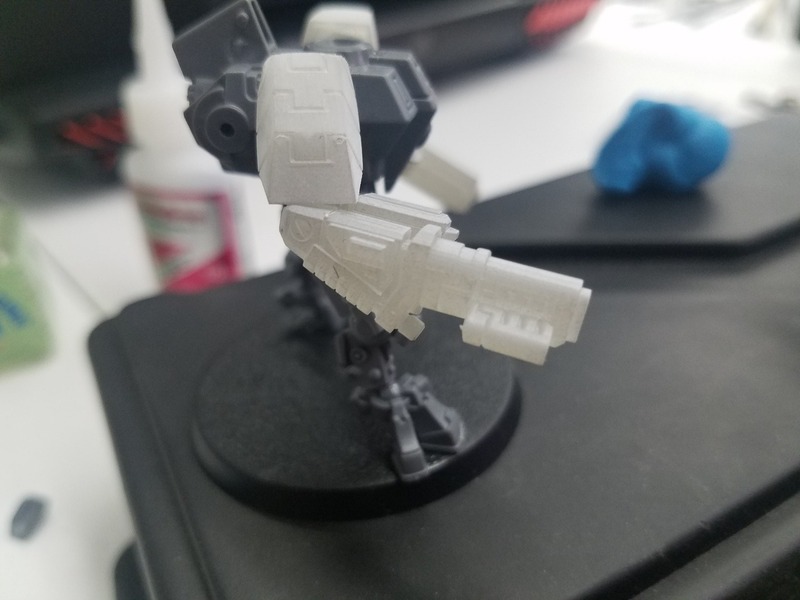 Considering that they're putting costs at $7.50 per bit bare in high detail resin I'd love to know how someone else is managing $3 per item? (No sarcasm). My rates are exactly what shapeways gives me for bare min +$0.50. Probably because they sell them in sets rather than separately. 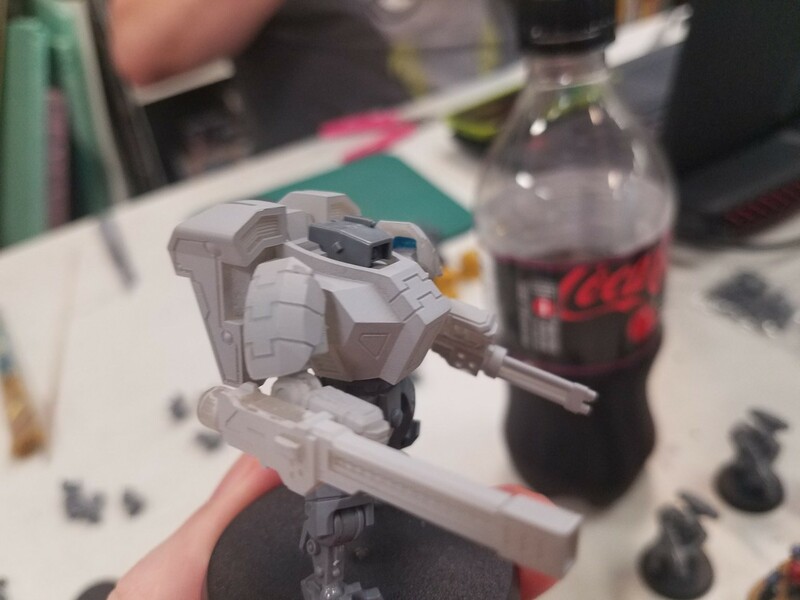 You rarely need just one or two weapon bitz for Crisis Suits considering how many hardpoints you got in each unit. Edited by sfPanzer, 30 November 2018 - 06:20 AM. Also funny I just arrived at work and here your stuff shows me as $9.53 and the other guys set of 4 as $13.79. 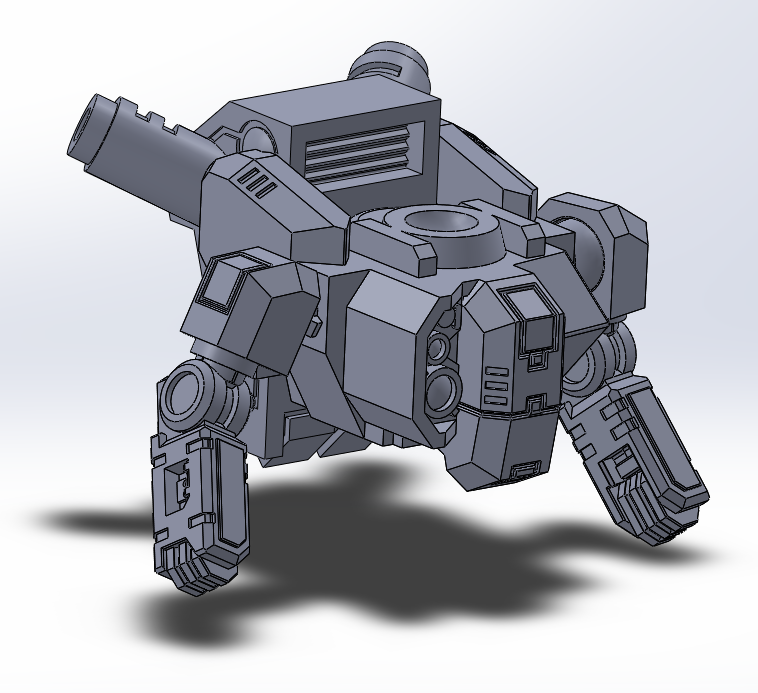 I'm not that experienced when it comes to Shapeways so I can't really say why things are like that. Edited by sfPanzer, 30 November 2018 - 07:32 AM. I've found a few sellers showing lower prices, I'm not one to try and shill my stuff at these prices. As it stands my stuff is up so people can grab if they choose to, I plan on messaging shapeways and asking about price discrepancy. Similar sized items (right down to volume) are much lower and that makes no sense. Hopefully in a few weeks/months I can start casting buckets of this stuff and sell for 3-4 bucks a pop plus shipping. Also if anyone really wants any of these parts they can contact me I can look into working with my contract printer and do bespoke orders rather than cast ones. 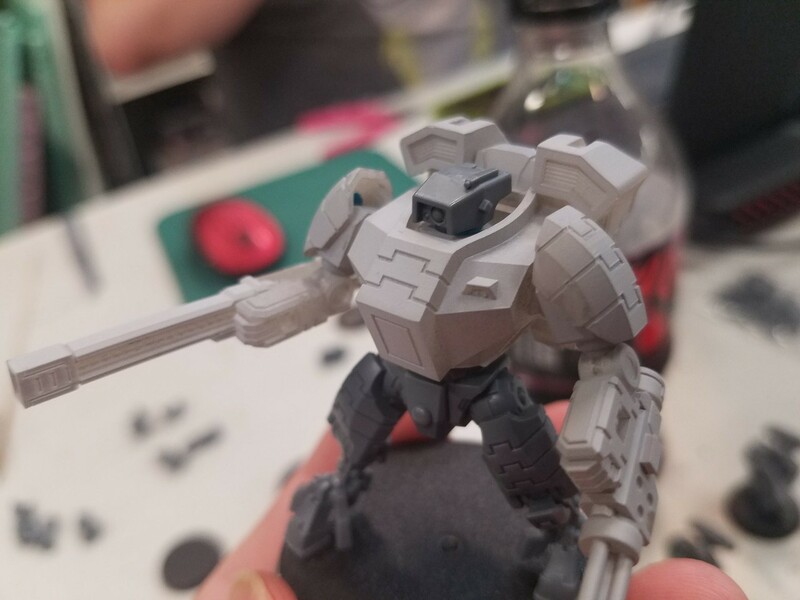 Shapeways changed thier pricing policy a few months ago. It's more expensive for new items, the old ones are grandfathered in. I love those missle pods. 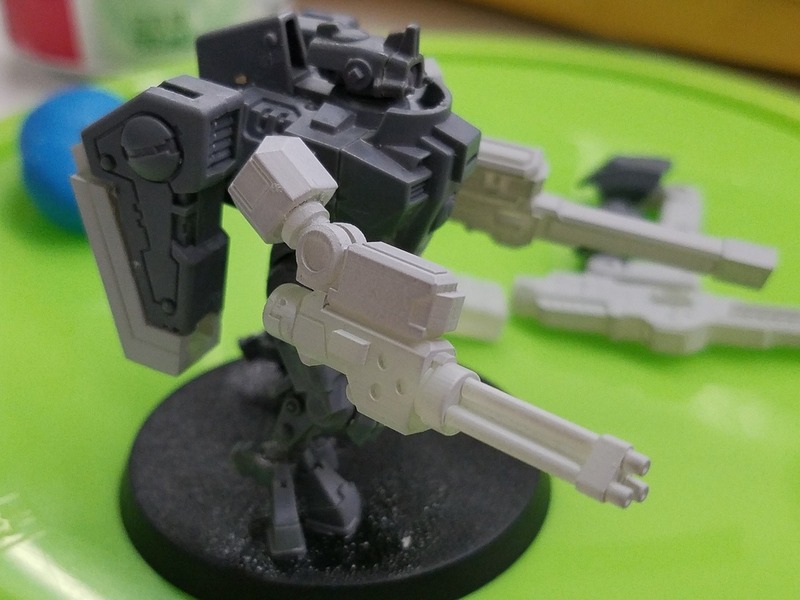 I really wish GW would go this route with tau missle systems. If plasma rifles were just replaced with railrifles we would have 30" rapid fire 1 guns that could potentially do more damage (d3). Doing a lot more Gue'la stuffs lately. I'll post em up somewhere, I think I have an existing thread I can necro. 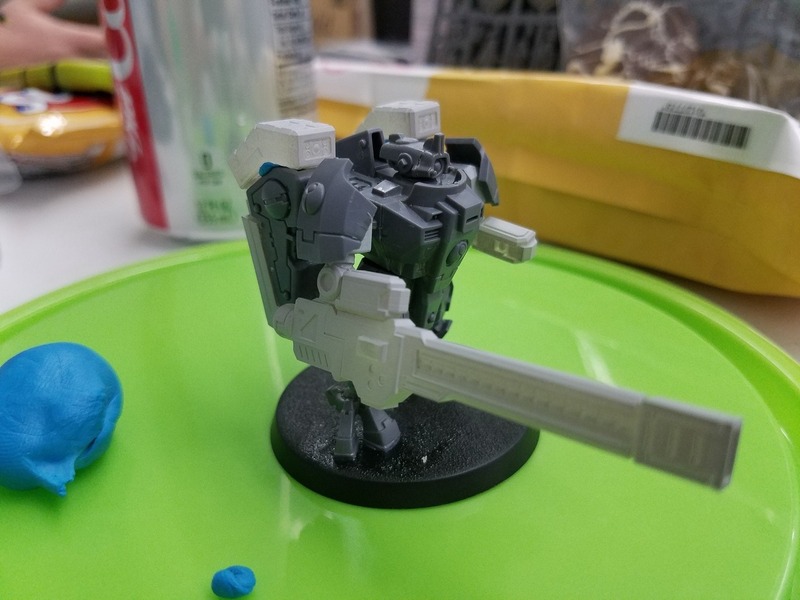 Big improvement to the classic blocky Crisis torso without moving too far from the official T'au aesthetics as others often do. I like it! 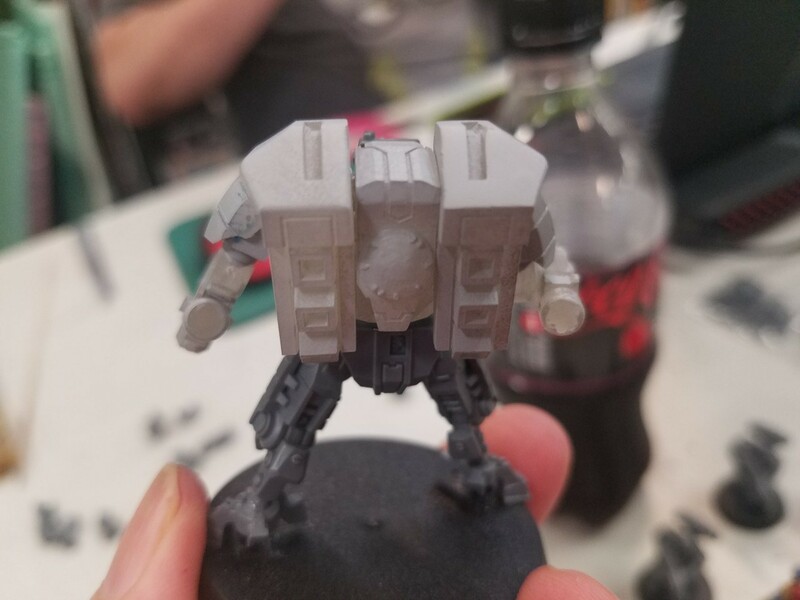 Ever thought of Doing a "simple Gue'vessa" conversion for the suits? A new leg from the Knee joint down and a new foot that "shows" its a human. I've been considering how to do that for a different reason. 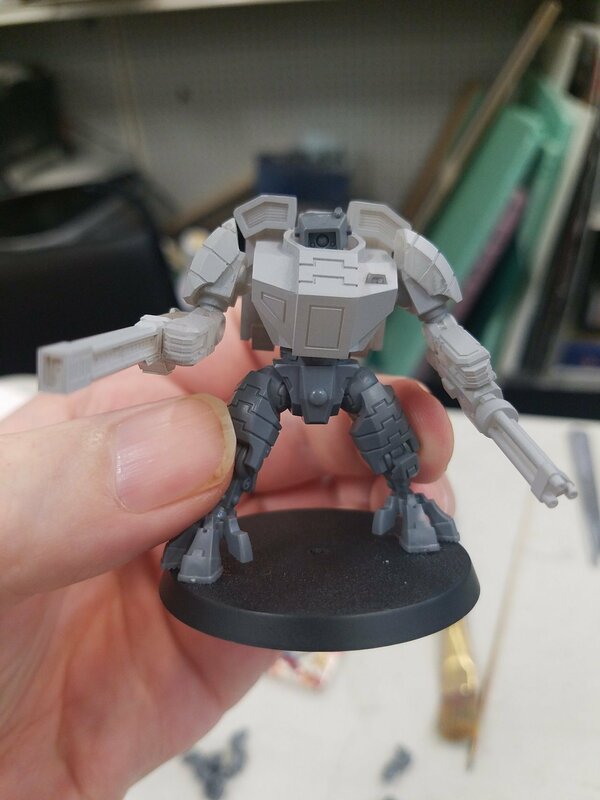 I haven't really haven't been able to compare some of my initial thoughts, such as Terminator or Centurion feet. 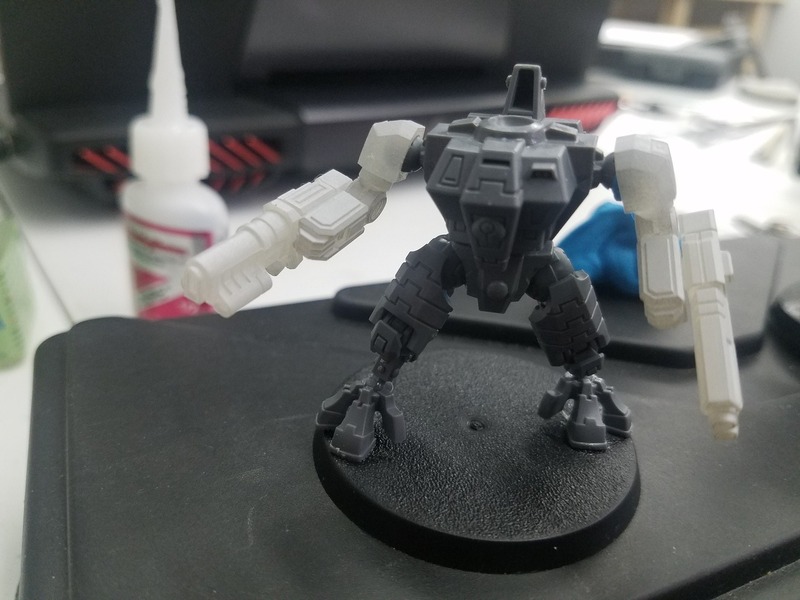 Reasonable ideas, I may or may not do this as I am planning on doing my own legs (already have torso, head, arms and weapons done so why not). I'll stick it in queue for later work. However right now I'm kinda wrapped up in viking work. Next projects in no specific order. Bits Idea: Viking-themed SW Iconography, Wargear, etc.